When someone says, “Christmas tree” in Georgia, you can bet that most folks envision the thick, woodsy smell of an authentic spruce or fir. Let’s face it: trees bought in big box stores simply don’t compare to the rich natural splendor of an honest-to-goodness Christmas tree. Thankfully, there are plenty of quality Christmas tree farms in Georgia that are keeping the real tree tradition alive. If you want to savor a long-standing holiday tradition, head to one of these 10 best Christmas tree farms in Georgia to get in the holiday spirit. This award-winning Christmas tree farm offers four varieties of trees to fill your home with one of the best smells of the season: Leyland Cypress or Frasier Fir. But it doesn’t end there—the folks here are dedicated to helping you have a good experience, which is why they offer a heaping helping of tree care knowledge to their buyers to ensure your tree outlasts the holidays. Aside from some of the best trees in the state, you can also enjoy a hayride and visit to the Christmas Shop. For an authentic family farm experience, you’ll be glad you went to Cooper’s Tree Farm. 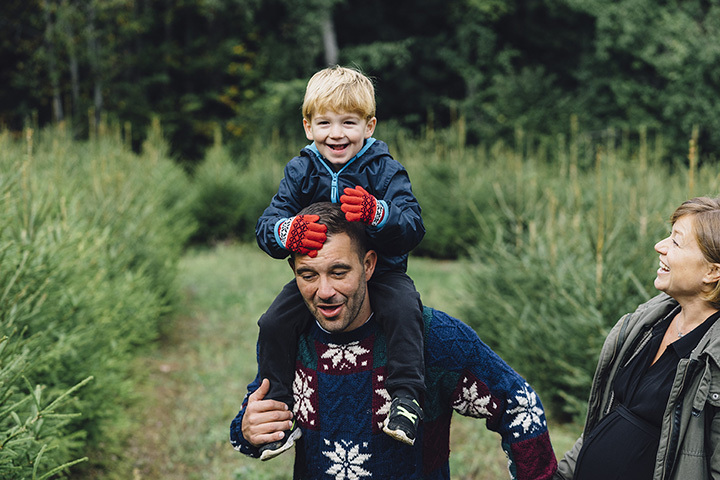 From choose and cut trees to pre-cut Fraser firs, you and your family will love scouting for the perfect tree, as well as homemade wreaths, garlands, and other decor. The farm itself is photogenic wonder, so make sure you get some holiday pictures with the kids or family before you leave. Walking through Beck’s Christmas tree farm might make you forget you’re at a tree farm and not in the midst of nature. This cozy tree farm offers Leyland and Murray cypress trees available for you to cut yourself, as well as Fraser firs imported from North Carolina. They’ve also got you covered with sturdy tree stands to keep your tree secure once you get it home. Though widely known as a Halloween hot spot, Sleepy Hollow transforms into a Christmas destination after all the ghouls go home. They offer a wide variety of trees, including Carolina sapphire, Virginia pines, Leyland and Murray cypress, Fraser firs, and blue ice, some of which are pre-cut and some of which you can cut on your own. While you’re there, you can stop by the barn and visit with the animals, or pick up some last-minute gifts at the country store. This place is everything a farm should be—beautiful, rustic, natural, and fun! Their Christmas tree experience is sure to become your next family tradition. Choose from live, pre-cut, or u-cut Christmas trees while you enjoy roasting marshmallows and drinking hot chocolate with the family. This place may be one of the most popular pumpkin patches in the state, but when Old Man Winter comes knocking it turns into one of the best Christmas tree farms around. You can cut your own tree like a pro or choose from a labor-free pre-cut variety. They also offer tree flocking and will even deliver and set up your new tree at your home. They provide the saw, and the rest is up to you! This sprawling tree farm features over 2,000 Christmas trees available for you to choose and cut. They also offer imported Fraser firs straight from the North Carolina mountains to give you more variety. Families love coming here because everyone can join in the fun—even the four-legged family members! Santa has been known to make an appearance here, so make sure you’re on your best behavior. When you start your search for the perfect Christmas tree at Thompson’s tree farm, you’re also starting a family tradition to look forward to year after year. The folks here really make you feel like part of the family, and offer high quality Christmas trees, wreaths, garlands, and other goodies to put you in the holiday spirit. This southern winter wonderland has been a Georgia tradition for over 20 years, and for good reason: visitors know they can expect quality trees at fair prices, along with friendly service and fun experience. Enjoy free cookies and hot cocoa as you search for your tree. They also offer fresh garlands, wreaths, and tree stands to complement your purchase. For the full Christmas experience, you’ll want to come to Berry’s Tree Farm. In addition to cut-your-own and pre-cut Christmas trees, they offer on-site tree flocking to make your tree even more unique. You can also visit the petting zoo, Santa’s workshop, train rides, and even a visit with Santa himself on select days.